I'll chronicle the Phoenix Project over the course of a few blog entries -- look up to find the links for each one as I write them -- to document how this project was salvaged, and what became of it. Part 1: the things you save from the fire. 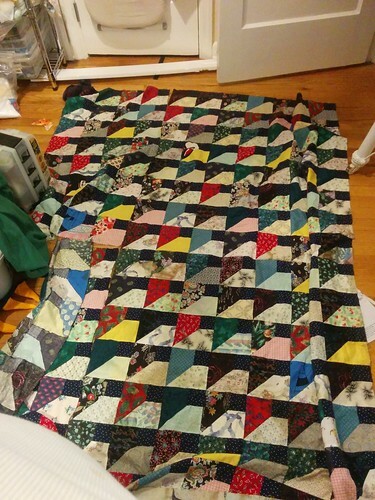 How it came to me, and why I felt there was no choice but to attempt to salvage the quilt.